This article was corrected to clarify that Gonzalez was arrested Thursday evening. It has also been updated throughout. 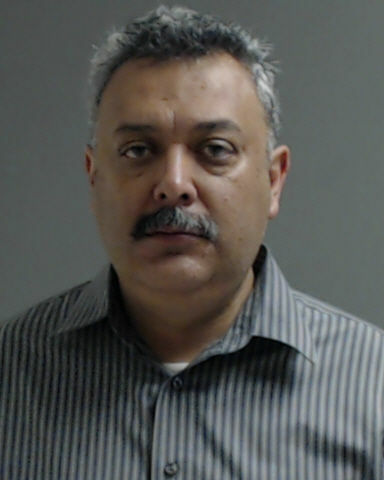 Edcouch Mayor Virginio Gonzalez Jr. was arrested for driving while intoxicated late Thursday night. He was stopped by a Texas Department of Public Safety trooper after committing a traffic violation at approximately 11:25 p.m. on State Highway 107 east of Farm-to-Market Road 907 (Alamo Road), said Sgt. Maria Montalvo, DPS spokeswoman. Gonzalez was booked into the Hidalgo County Detention Center early Friday at 2:16 a.m. and his bond was set at $5,000, according to jail records. He posted bond and was released Friday afternoon. Gonzalez, who in addition to mayor is human resources director for the Edcouch-Elsa Independent School District, was stopped during the county’s “No Refusal” weekend, which began Thursday and runs through Sept. 4. During this period, anyone pulled over for drunk driving will be subjected to a blood test if they refuse to provide a breath sample. Gonzalez refused a breath sample, said Montalvo, but because the DPS trooper was unable to obtain a warrant from a judge or magistrate to collect a blood sample, Gonzalez was arrested without undergoing the test.